Sulfonamides. 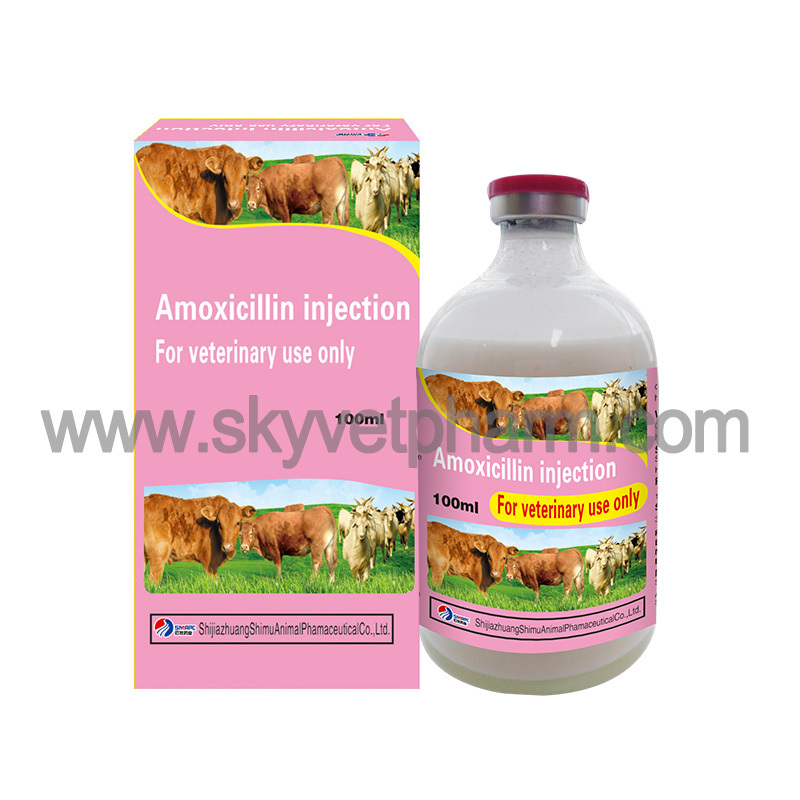 For susceptible bacterial infections, can also be used for coccidiosis and Toxoplasma gondii infection. 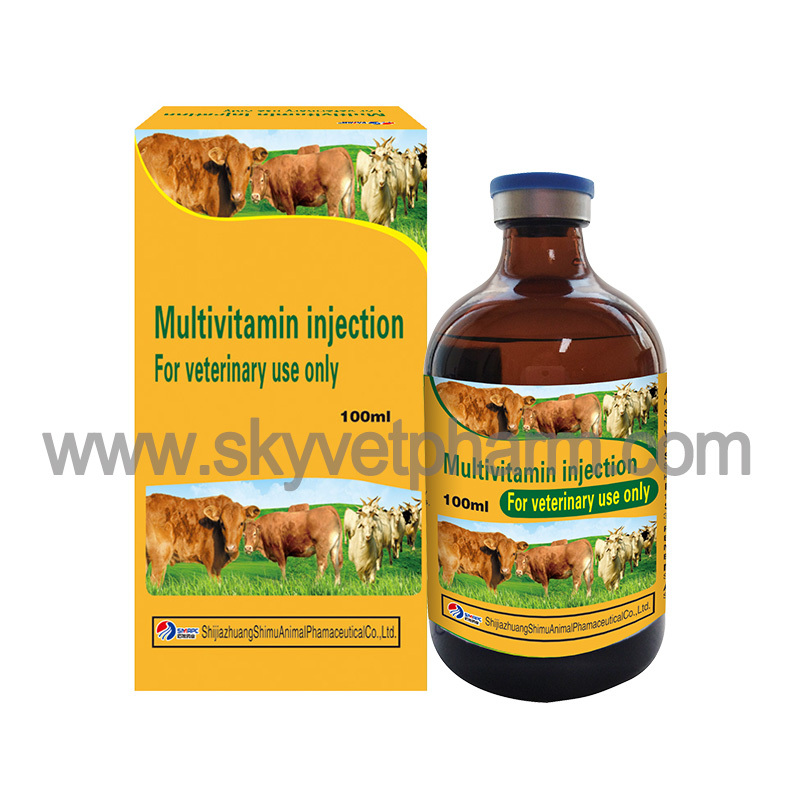 Cattle, pigs, sheep and goats: 50-100mg per kg body weight during 2-3 days, once to twice a day. Sulfonamide or its metabolites can precipitate in urine, and it is easier to produce crystallization at high doses and long-term administration, causing crystalluria, hematuria, or blockage of renal tubules. 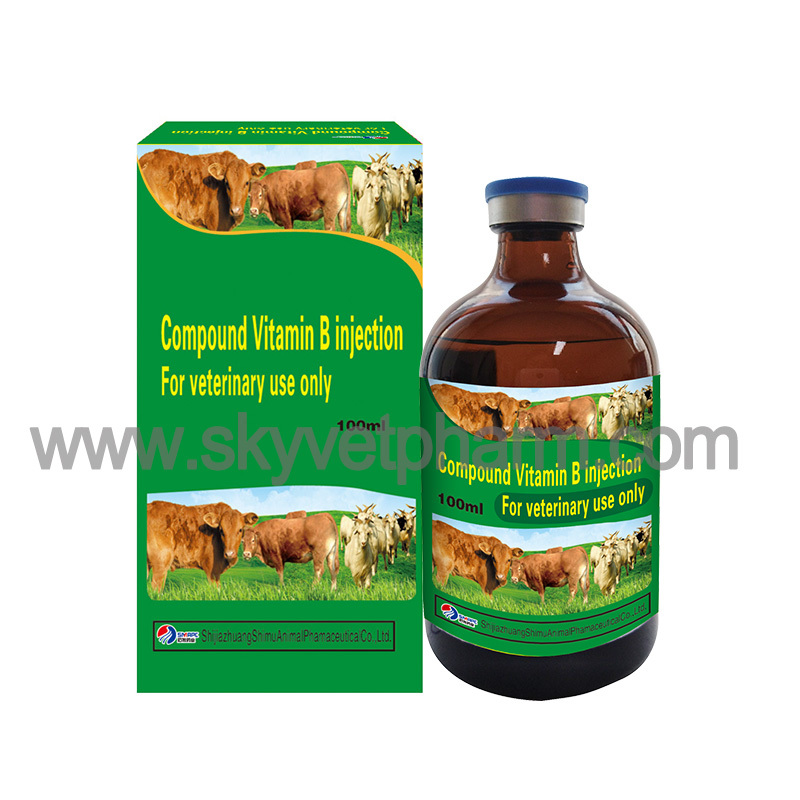 This product is a strong alkaline solution, strong irritant to the organization. 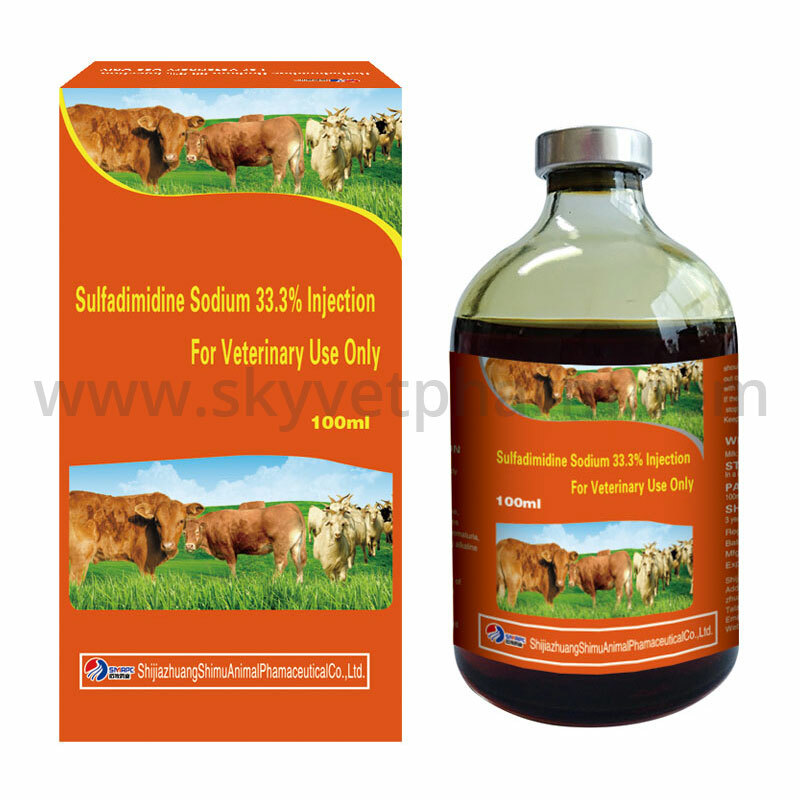 During the application of sulfa drugs, a large amount of drinking water should be given to affected animals to prevent the occurrence of crystallization of urine. If necessary, sodium bicarbonate may also be added. When renal function is impaired, excretion is slow and should be used with caution. 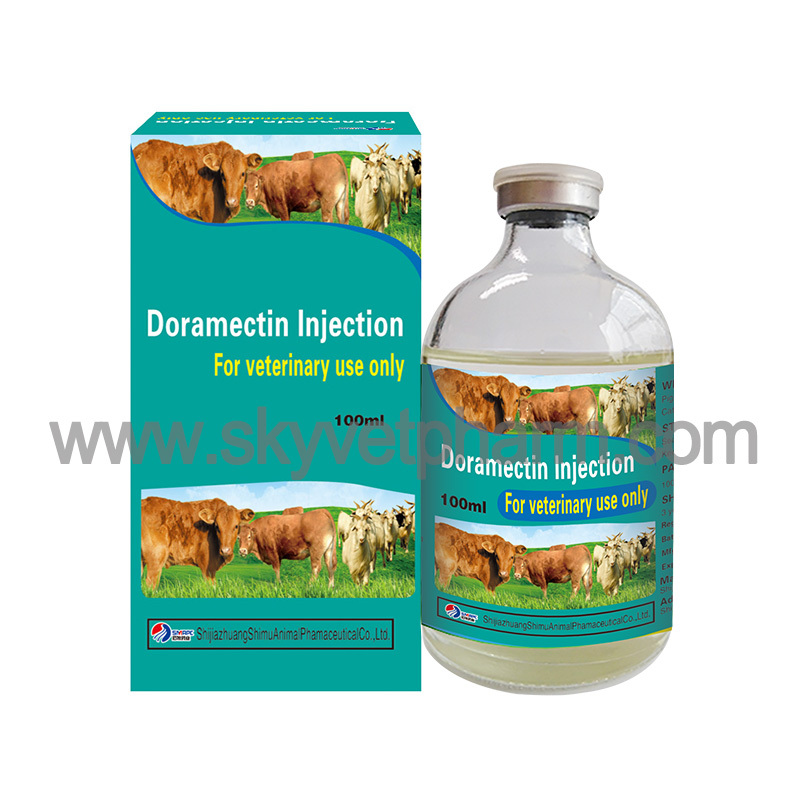 This product can precipitate out of crystals in case of acids, so it should not be diluted with 5% glucose solution. Caution cross-allergic reactions. If there is an allergic reaction or other serious adverse reactions, stop the drug immediately and give symptomatic treatment. Milk: 7 days; Meat: 28 days. In a cool, dry place, protect from light.